Does your business run a website to communicate with your customers? It is obviously so. And most likely, you get tons of emails from buyers, potential buyers or those who comment the blog posts. How long does it take to sort them out every day? We are sure it’s not the thing you would adore to do. However, you must do it if you do not want to lose the visitors. Moreover, the questions are very similar and are almost of the same type. They mostly relate to the company services and website features. And you spend more and more of your precious time to answer the typical questions instead of improving the business. Of course, you can hire a virtual assistant or some stuff to control these emails and reply to all of them individually. But is there any more efficient solution? Yes, there is — the list of frequently asked questions or so-called FAQ page will save a lot of your time and resources. At the same time, you will have to put some additional efforts to create it and to keep updated. Most likely, the visitors will not be delighted to look for it every time they have a question — they will rather contact you by email or in an online chat. The outdated FAQ page will not make a big difference. Instead, you can use a special WordPress FAQ plugin to integrate the FAQ into any individual page. You can even create several lists of questions related to different product or service categories — they will help to sell answering the typical questions related to a specific product or service. There is a big diversity of such kind of plugins. They can be both free and premium. They are all very easy to use — in most cases, it is enough to just install it in a few clicks and activate in WordPress dashboard. In this post, we will look closer on how to install the WordPress FAQ plugin, as well as review the best of them. Pricing: $49 for 1 site, $69 for 3 sites, $149 for 10 sites. The strongest point of this WordPress FAQ plugin is its ease of use. It will definitely not make any problems to install, configure, and use it on your website. The developers collected all the best features of similar products and united them in a great convenient solution without significant flaws. To use the plugin, you will not require any programming background — a visual interface is convenient and intuitive. With it, you are able to create an attractive list of frequently asked questions and add an additional content including images, videos, lists, and other rich content to provide the best user experience for your visitors. The plugin is easily integrated into the WordPress theme used on the website. What does it mean for you? If you need to adapt the FAQ list appearance, you will not require any coding — the plugin will automatically do all the work. Moreover, the plugin is completely mobile friendly — the FAQs will look perfectly on any device. Visual editor with intuitive drag and drop interface. It helps to work with it without any programming knowledge — you can immediately see all the applied changes. Effectively turn the visitors into customers by adding to the question lists the reach content like videos, images, blockquotes, etc. Add the FAQ on any page on your website and configure it in a few clicks. 5 ready-made styles to be used everywhere. Moreover, you can create your own one based on them. In addition, you get 15 icon styles. Great personalization features to make it match your brand identity. Integrate the plugin into WordPress without many efforts. That includes easy installation and theme integration. Integration with schema.org for better search optimization. Regular automatic updates via WordPress dashboard. 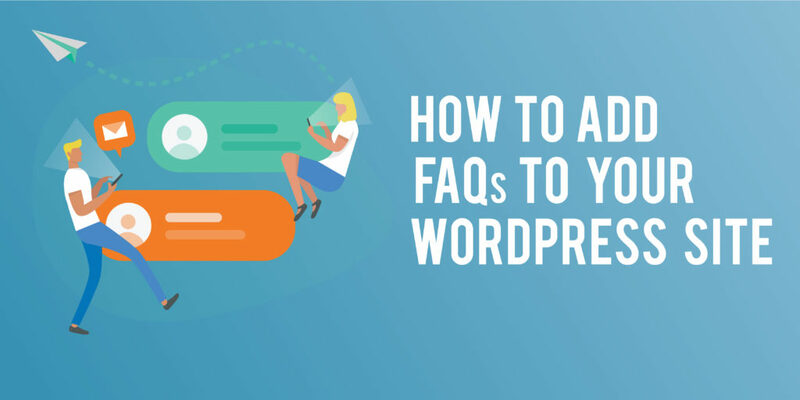 Having installed and activated the WordPress FAQ plugin, go to the plugin page in WordPress dashboard and select Add FAQ Group. Name the group and save it. Then select this group and click on Add New FAQ button. And the content and save it. To use the FAQ on the page, click Add FAQ button in WordPress editor. Of course, you can position it everywhere. To look responsive on any device is de-facto the standard today. HTML5 Responsive FAQ is a great WordPress FAQ plugin which is absolutely free to use without limitations and hidden payments. Of course, it is responsive and supports any responsive theme. If you do not need a lot of advanced options and using the simple shortcodes doesn’t frighten you, then this is your choice. Despite being quite simple, the product provides all the necessary features to build the frequently asked questions lists and add them to the website. You are able to change the colors, design, fonts, backgrounds, etc., to make it look like you want. The plugin is easily integrated into WordPress and does not require many efforts and work with the backend part of the website. To add it to the page, you will have just to insert simple shortcode. SEO-friendliness for better website promotion. High level of customization: you can configure your FAQs according to your needs. Integration into any responsive theme. Grouping the FAQs into categories. You are able to use it on any page, blog post as well as widget. To tell the truth, you are not limited at all. The ability to use the plugin with almost any visual editor. Easy configuration in WordPress dashboard. Install the plugin from the Plugins page in the WordPress dashboard: Plugins — Add New — HTML5 Responsive FAQ — Install. Then, activate it. Next, go to FAQ — Add FAQ — type in the question and answer — Add New Category — Attributes — Order — add order# — Publish. [hrf_faqs category=’uncategorized,wordpress,plugins’ title=’My Title’] — to display the category with the title. Pricing: limited free version, $30 for 1 site, $100 for 5 sites, $170 for 10 sites. Like practically any other WordPress FAQ plug-in, Ultimate FAQ allows creating unlimited lists and categorize them according to your needs. At the same time, it has a unique privilege over many competitors — WooCommerce integration. The plug-in dashboard gives an opportunity of full FAQ customization and control. The interactive and convenient editor allows creating great FAQs and add them to any page on your website. Moreover, if you created many of then you can easily find them using the search feature. Another great option is an export to a PDF. Basic features are available for free. The expanded functionality requires the premium account. Its price depends on the number of websites you are going to use the plug-in. Unlimited number of FAQs, tags and categories. Compatibility with any website layout and WordPress theme. Using the custom CSS for better styling. Set up the commenting feature. Responsive layout on any screen and device. Set of 15 icon styles. Import or export your FAQs into/from many file formats. Sharing via the social networks and email. Having installed and activated the plugin, open FAQ — Add New — fill in the required information — Publish. To display the FAQ on the page, add [ultimate-faqs] shortcode in the specific place. the author name who created the frequently asked questions list. FaqPlus is a great WordPress FAQ plugin to create unlimited number of lists on any website. It also provides the great customization options like adding images or videos, changing the background color or fonts, animations, and a lot of other effects. Furthermore, you are able to insert the FAQ in any place on the page, in blog post or widget. Create the unlimited number of FAQs — there are no limits. You can easily remove the unnecessary ones. Change the colors as you want — the option is available for the background and texts. as a result, the FAQ section will look naturally on any website. The customizable font size — change it both in heading and the text itself. Responsive layout — they will look correct and natural on any display or device. Intuitive visual drag and drop editor — you can create the FAQ list of any complexity adding the rich content like videos, images lists, and many more. Add the animation and drop-down menu. Flexible configuration of how the FAQ should be displayed: said the FAQ you will open by default, change the icons and their styles, as well as the display mode. The advanced options for experienced users. Install and activate the plugin in the WordPress dashboard. On the plugin page, create a new FAQ and save it. On the page composer, insert the FAQ in a place you need. Another great WordPress FAQ plugin to use on your website. It gives only the basic features, without many advanced options. However, it is enough for building the great FAQ to display the valuable information for your visitors and customers. Due to its simplicity, the plugin can be easily used even by complete novices — it is a great choice for them. To add the FAQ to the page, use the simple shortcode in the page editor. The plugin supports two types of animation: accordion box or jQuery toggle. Moreover, you will be able to select how the questions will be displayed: by default, or the visitor should click on it. Also, it will look correct on any device as it supports the fully responsive layout. Instead of dividing the questions into categories, the plugin will group them similarly to WordPress tags. Each question can include unlimited amount of such groups, so, each question will be included in several frequently asked questions lists. The product gives flexible capabilities to configure how to display the groups. Having installed and activated the plugin, open FAQ — Add New, at all the necessary information: question, answer, order, group, and save it. To display the FAQ on the page, use the [faq] shortcode. Pricing: $44.99 for one site, $224.95 for unlimited sites. Tribulent FAQ is a high-quality WordPress FAQ plugin. It comes with a range of great features to make a difference with free plugins. The plugin allows visitors to ask questions from your website frontend (you can also decide whether the visitor should be registered before asking questions). Each user-submitted information is then placed on the WordPress dashboard, waiting for you to approve it, and then post the answer. And when you click the “Publish” button, it will receive an email notification indicating the required answer. In fact, most of the best features of the Tribulent FAQ are intended for front-end users. For example, there is a handy search function that allows visitors to browse the depths of your frequently asked questions. Visitors can search in a particular category (or the entire site), and the algorithm returns both questions and answers related to the search request. The sections of frequently asked questions from Tribulent are also among the best, with beautiful sliding accordion effects. There are a huge number of customization options, plus you can even add stylish buttons for sharing social messages to your answers. Sorting and grouping of the FAQs. 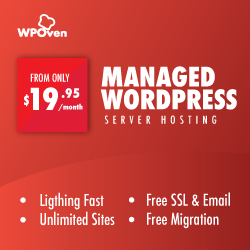 Seamless integration with WordPress and any theme. Compatibility with any device and screen size. Localization and the ability to post the questions and answers in many languages. Download, install, and activate the plugin in the WordPress dashboard. Then open the plugin page, add the new FAQ, and then insert it to the page or blog post. Another great and attractive WordPress FAQ plugin with lots of useful features. Provides reach configuration options with a wide range of advanced settings. Like at the competitors, the plug-in supports unlimited number of lists of frequently asked questions, interfaces configurations, as well as compatibility with all devices, screens, and browsers. You do not need any programming knowledge — with visual drag and drop editor; you will apply all the changes in a few clicks. Unlimited number of pages with frequently asked questions. Rich configuration of FAQ styling including colors, backgrounds, fonts borders, etc. Easy to use shortcode generator. Translate the FAQs into multiple languages. Install and activate the plug-in on the Plugins page. On the plugin page, create the new one. Insert it into the page in the visual editor. And there are much more WordPress FAQ plugins – we just reviewed the best and most popular ones. Among this diversity, you can choose and both free and paid products — it’s up to your needs and preferences. In any case, they will all cold with assigned task — and the block of frequently asked questions to your website. Which plug-in do you prefer ?